And in Your majesty ride prosperously because of truth, humility, and righteousness; And Your right hand shall teach You awesome things. 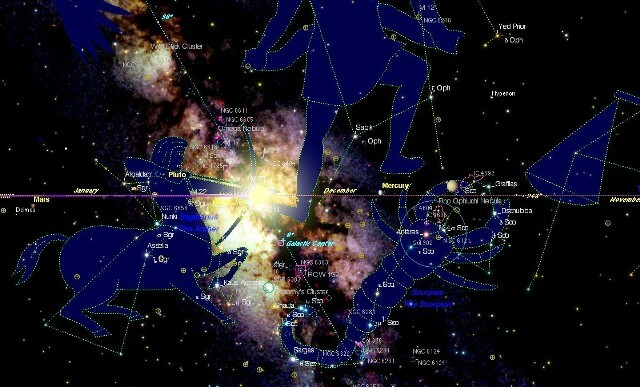 Now we come to Act One, Scene Four in the Major constellation of Saggitarius: The Archer. Once again, our Mighty Hero is portrayed as a Centaur, revealing the dual nature of God’s Champion, being Fully man and Fully God. 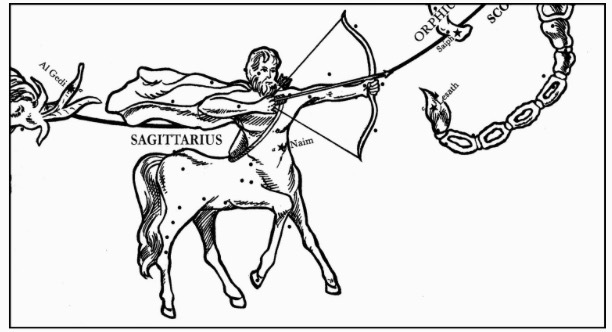 The human part of the figure has a drawn bow strung with an arrow pointed directly at the red star, “Antares.” We learned in part 6 that this is the very heart of the scorpion, a depiction of our arch enemy, satan. Notice in the picture above that the right foreleg of the Centaur is bent backward as though injured. That is because, in conquering the devil, Jesus’ heel was bruised. In the opening scripture Psalm 45 speaks of an Archer riding forth with truth, humility, and righteousness. His RIGHT HAND teaches awesome things. Slung over the shoulder of this mighty Archer is a quiver full of arrows. Notice He is shooting his arrow with his RIGHT HAND at the heart of the enemy. That’s our Jesus! He defeated our enemy with truth, humility and righteousness. This passage also speaks of the defeat of the enemies of natural Israel. If you go to your Bible’s table of contents and count, you’ll see that Psalms is listed as the 19th book. Remember what great event happened in 1945? Two atomic bombs (sharp arrows) were dropped on Japan bringing WWll to a screeching halt! These bombs are two of the sharp “Arrows” that pierced the heart of the enemies of God’s people precious to King Jesus. Doesn’t that describe our Lord Jesus to a “T”? He’s the One Who is “Fairer than ten thousand;” The Bright and Morning Star! Another Hebrew-named star that has been preserved for us is “Nushata.” It means “The Going or Sending Forth.” “Terebellum,” which means “Sent Forth Swiftly,” in Hebrew, is a third star name passed down to us. They both add to and compliment this beautiful story. Amazing! But that’s not all. 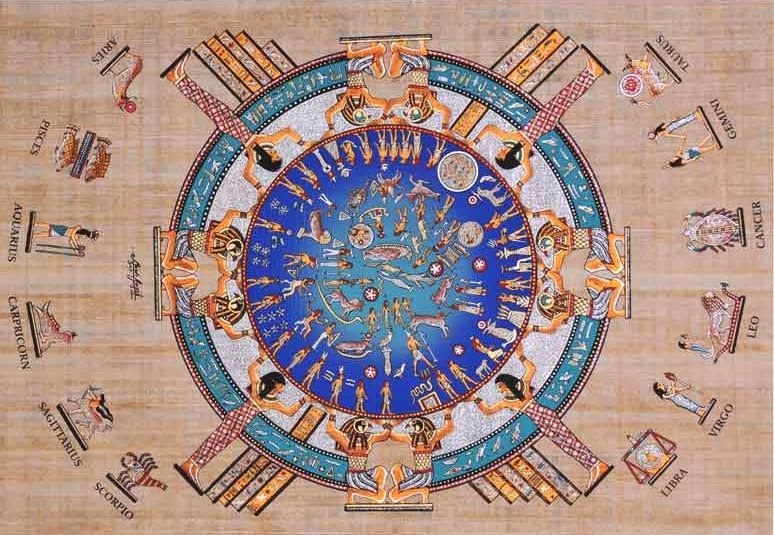 The ancient name of another star, “Croton,” has come down to us from the Greeks, which means, “The Purchaser.” Last, but not least, we have the ancient Akkadians, who named this figure “Nun-Ki, The Prince of the Earth.” Apt description. That is definitely our Lord Jesus, the One Who fights for us! When we learned about the constellation of Libra, we spoke of this great price and Jesus’ great sacrifice made in our stead. Libra is the one who holds the scales in her hand on which we were “Weighed and found wanting.” Jesus paid a debt He did not owe for us, who owed a debt we could not pay. He alone is the The Purchaser, The Redeemer of His people. The Hebrew word for this constellation is “Kesith,” which means “the Bending of a Bow for Shooting.” This very same word for archer is used here in Genesis 21:20. Are you sensing a universal pattern here? Though seen by different cultures and called by different names, they all point to One person Who can only be our Lord Jesus! But if you don’t know where this circular story begins, you wouldn’t be able to read it correctly and it would be very confusing. It certainly wouldn’t reveal the real story about The One Who paid the ultimate price to save the human race. 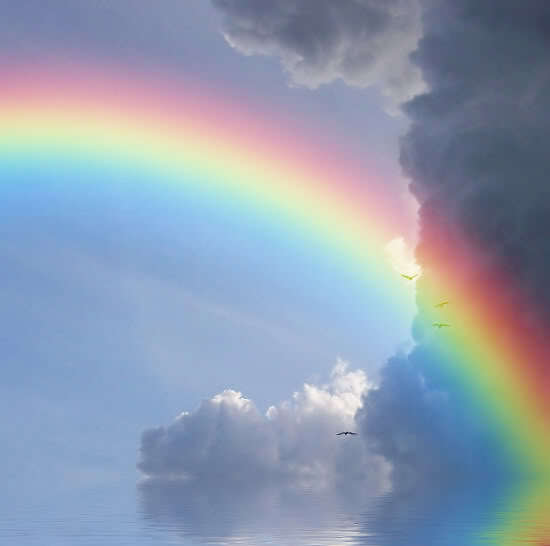 Remember the verse in Genesis 9:13 that says, “I set My rainbow (Keshet) in the cloud, and it shall be for the sign of the covenant between Me and the earth?” Since Jesus conquered our great enemy, there is now no “Bow” shooting “arrows of judgment” at us! The Great Archer, Jesus, shot His arrow into the heart of the scorpion, crushed the head of the great dragon, and won the victory for us. HALLELUJAH!!! We are eternally grateful to you, Father, for sending Your Champion, Jesus, to save us. Thank you for continually reminding us of your great love and the great battle He fought on our behalf. 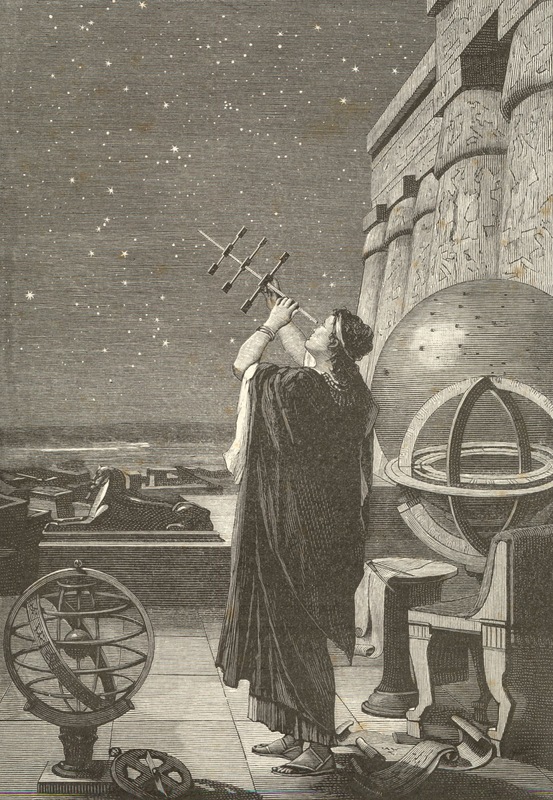 Every night, when we look up at the stars, we will see and be encouraged by what He did for us in the constellation of Saggitarius: The Archer!